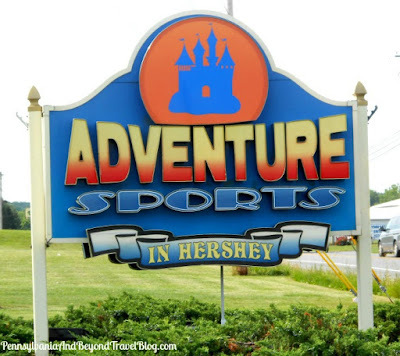 Adventure Sports in Hershey is a family entertainment park located on 3010 Elizabethtown Road in Hershey Pennsylvania. 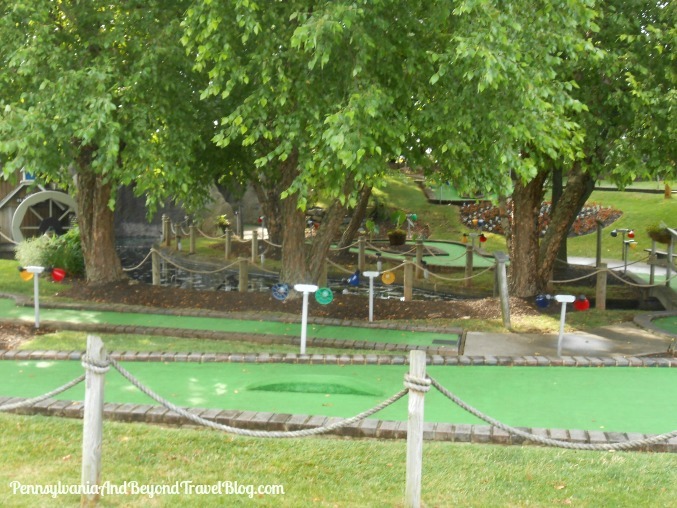 If you live in south central Pennsylvania or planning a trip to the area, this is one fun place that you'll want to visit. Adventure Sports has all kinds of fun attractions and activities for the entire family to enjoy. 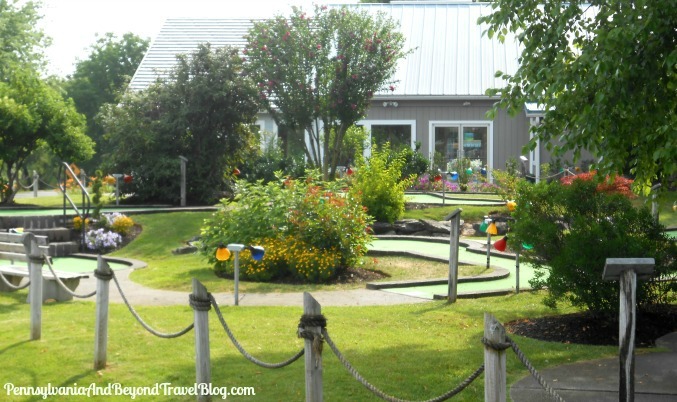 You'll find a beautiful miniature golf course, go-karts, batting cages, outdoor laser tag, bumper boats, an arcade loaded with video games and a golf driving range. We live within a 15 minute drive and visit Adventure Sports at least twice every summer season. When my family visits, we love to play mini golf! 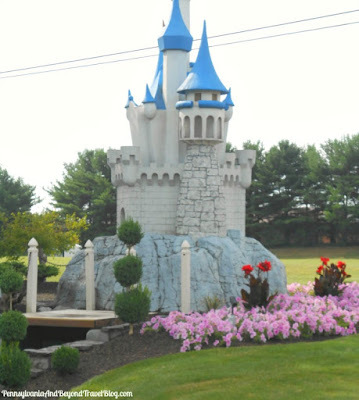 This is the best miniature golf course in the Harrisburg and Hershey area, at least in my honest opinion. When we go, we try to visit during their off-peak hours, so that we can take our time playing the game. You'll be charge $6.00 to $7.75 per person, depending on age. Another activity that we all enjoy is their bumper boats! 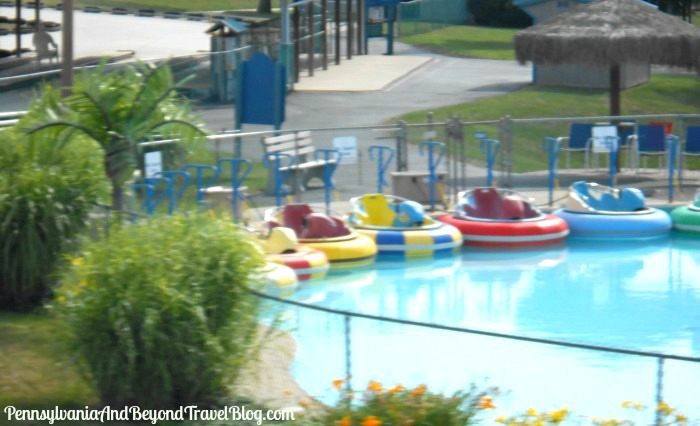 We love to ride around on the bumper boats on sunny and hot days...it's a great way to cool off. When we take the little ones in the family with us, they do ride in the same bumper boat with an adult. You have to be at least 44" tall and they currently charge $7.00 per person for this activity. Our third favorite activity is taking a spin around on their Go-Karts which is a lot of fun! You have to be at least 10 years old and stand 58" tall or you'll have to ride with an adult. The Go-Kart track is 1100 feet long with plenty of twist & turns to keep you entertained. You'll pay $7.00 for the driver and $1.00 for the passenger (if you have one) and ONLY two people (max) can ride/drive around in a go-kart. After our family has had our fun...we always stop into their ice cream parlor for an icy-cold treat! They have your classic ice cream flavors along with a few you may have never heard of. You can get your ice cream served in a cone or a dish...or if you're a milkshake person, they have those too! You'll be buying one of the best ice cream brands in our area...Turkey Hill Ice Cream! Need a little hot lunch or dinner? They have that too! You can order chicken fingers, french fries, burgers, etc. We love visiting (and playing) at Adventure Sports in Hershey. Matter of fact, for the past several years, it's been our family's tradition to get together at least twice during the summer months and all go together. It's a lot of fun and everyone always has a good time! Note: You can click on each photo in this travel feature and it will open up in a new window and in an enlarged size. This will allow you to see all of the smaller details up close. Adventure Sports has a lot of fun activities. I wish there was a pass for all the activities at one price so that you don't have to pay for each separately. I think the bumper boat would be my favorite right now because it is so hot.